Since Netanyahu apparently meant what he said in announcing that there would be no Palestinian state on his watch, the White House is re-evaluating its policy towards Israel and seeking other option to avoid chaos in the region, the US President has said. 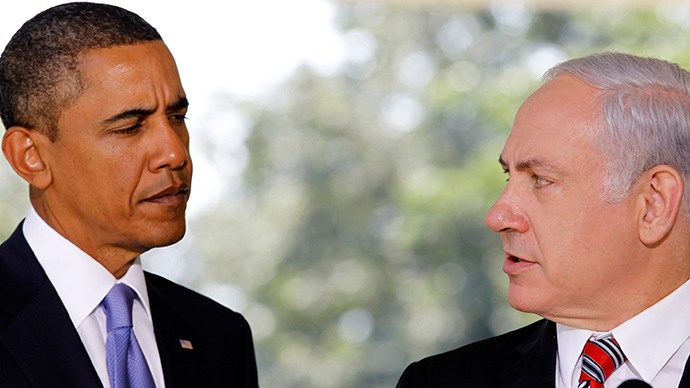 Commenting on the Israeli elections for the first time after PM Netanyahu’s victory, US president Barack Obama made it clear that the US supports the two-state solution in the Israeli conflict despite the PM’s strong pre-election rhetoric. The two-state solution is “the only way for the long-term security of Israel, if it wants to stay both a Jewish state and democratic,” US President said in his interview with Huntington Post. The US president said that he had been “evaluating” his policy towards Israel in the wake of Benjamin Netanyahu’s re-election and campaign statements. The day before the March 17 elections Netanyahu made it clear that he wouldn’t allow the creation of a Palestinian state. “We take him at his word when he said that it wouldn't happen during his prime ministership,” Obama stated. “We're going to make sure, regardless of disagreements we have on policy, that our military and intelligence cooperation to keep the Israeli people safe continues and that cooperation also helps the American people stay safe,” Obama added. Keeping Israel safe involves a tense string of negotiations with Iran over its nuclear program, which Israel and Netanyahu in particular have always opposed.